Seamless pattern with floral elements. Vector set. 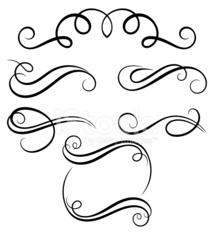 Calligraphic design elements and page decoration.